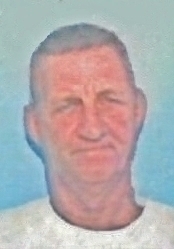 Bobby E. Nolan, age 79, of Mendon, passed away Friday, April 12, 2019 at Grande Lake Healthcare Center in St. Marys. He was born September 7, 1939 in Mercer County, to the late Robert & Helen ( Thomas ) Nolan. Surviving are his son, Mark ( Beth ) Nolan of Mendon, daughter, Stephanie Heimann of Findlay, and five grandchildren: Mindy ( Jake ) Kable, Nicole ( Bill ) Keating, Ashley ( Trey ) Huber, Kyleigh ( Matt ) Klosterman, and Justin Nolan. Bob was also the great-grandfather of fourteen: Ella, Ali & Ty Kable, Evey Lauth, Nolan & Wexford Keating, Blake Fisher, Clayton & Brady Nolan, Jaedyn & Corbin Huber, Lucy & Wesly Klosterman, and Gracie Nolan. He was preceded in death by his sister, Bette Meier. A retired farmer, Bob had also worked for P&R Disposal of Celina. Bob was a 1957 graduate of Mendon Union High School, and served in the Army National Guard. He was a member of Celina American Legion Post #210 and V.F.W. Post #5713, and the Mendon First Church of God. He enjoyed watching sports, especially football and basketball, and was a fan of the Ohio State Buckeyes and Cleveland Browns. Bob liked to garden, and watching birds and squirrels.